Best Hosting Sites » Blog Archive » How To Choose Best Web Hosting? Do you want to start a killing web project? No problem! But to allocate your site on the Internet you’ll have to purchase hosting. 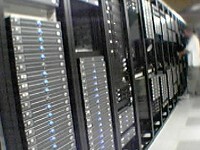 This is a part of a server, or a whole server, that keeps the content of your site and all data about it. Hosting has many important features that influence the functioning of your site this way or another. There are many types of Web Hosting, so it’s quite hard to make the correct choice, even when you have a list of reliable web host companies. You can take a cheap package for a blog or a small site. Or you can purchase a top-class server if you plan to make a really big online project. In this article we’ll give you some tips for purchasing web hosting that meets your requirements best. Any web hosting package will include disk space, bandwidth and RAM capacity. Depending on these technical characteristics, you can choose both cheap and expensive offers. While choosing the specifications for you hosting you have to consider the scale of project you want to make. Normally, even minimal numbers will be enough for a good blog or a promo site. Apart from technical options, you will get access to important software that helps manage you project. These are, for instance, Web Server, Mail Server, Control Panel, Database Server, different Web Development Technologies (like PHP, Perl or MS SQL), etc. Most these elements are a must for good hosting functioning and management. You can consult your web master to check, which features will be specially needed in your project. So, three main options you can find on the web today are Shared Hosting, VPS Hosting and Dedicated Hosting. These are the solutions for projects of different scale and development stage. If you are planning to start a blog or a small web site, Shared Hosting would be enough. Basic functions and low price are key features of Shared Hosting, though this is already enough to make a good start. VPS Hosting is, so to say, an extended version of Shared packages. You get more productivity, more disk space and better neighbourhood. And all this at a reasonable price. Purchasing a VPS Hosting package is reasonable if your project has already developed a lot. Also, you can choose a VPS offer if you plan that your site will grow a lot in less than a year. 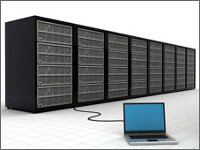 Dedicated Servers are the best offer you can find on the web. You get a whole server, and you are free to manage it the way you like. Dedicated Hosting is, indeed, the best choice for big projects. For instance, if your site will be hosting a lot of media files or process big databases, purchasing a Dedicated Server is extremely important. Yet, you have to keep in mind that these packages are the most expensive, too. There are two key operating systems you can find installed on servers. They are Windows and Linux. Most experts say that the main advantage of Windows is its database format — MS SQL. This format helps your site to process big databases faster. On the other hand, Linux is a more flexible operating system. You can make some fine adjustments due to its open source. Apart from it, Linux servers are very popular due to their lower price. This server software has no license fee, and this makes hosting packages considerably cheaper.